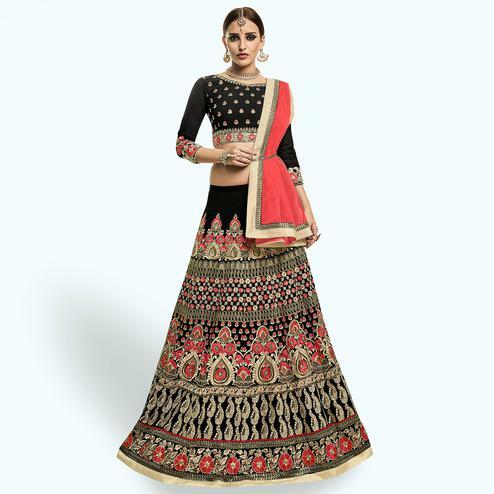 Peachmode has an assorted collection of elegantly crafted black lehengas online. 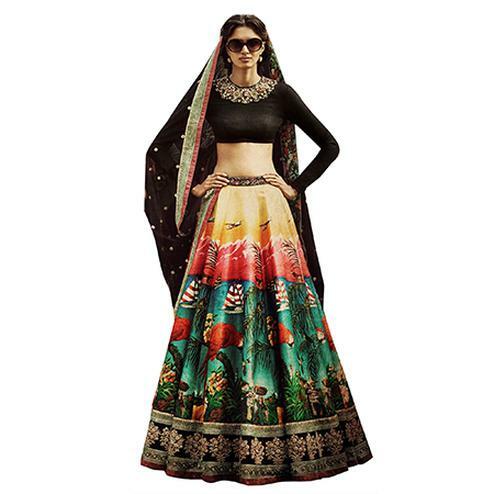 These lehengas are the perfect blend of style and culture. Incorporating the latest lehenga trends, our collection comprises a vast range of ethnic lehengas, floral lehengas, embroidered lehengas, wedding lehengas, bridal lehengas. These lehengas are tailored into the likes of ghaghra choli, lehenga kameez, gown style, lehenga sarees. The color black is all about strength, power and authority. Black outfits have a very enchanting effect to them. And as they say, when in doubt, wear black. 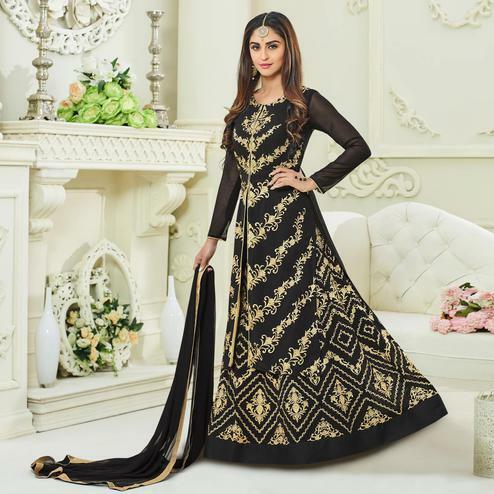 These black lehengas look supremely glamorous and will have people looking at you with admiration. Be it embroidery or prints, whichever color combinations, black enhances the beauty of the outfit. 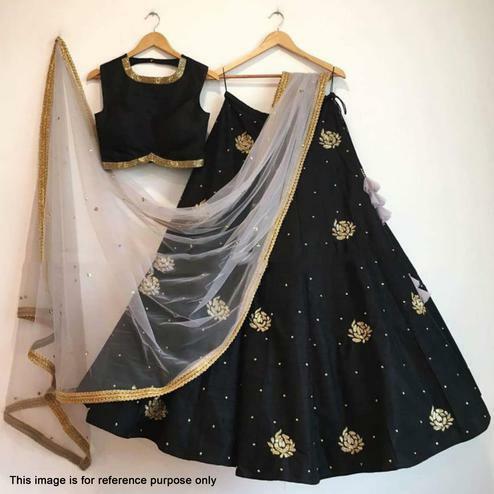 These black lehengas are crafted beautifully on luxurious fabric like silk, art silk, velvet, satin, raw silk, tapetta silk, cotton silk, crepe, jacquard, georgette, faux georgette and numerous other fabric varieties. 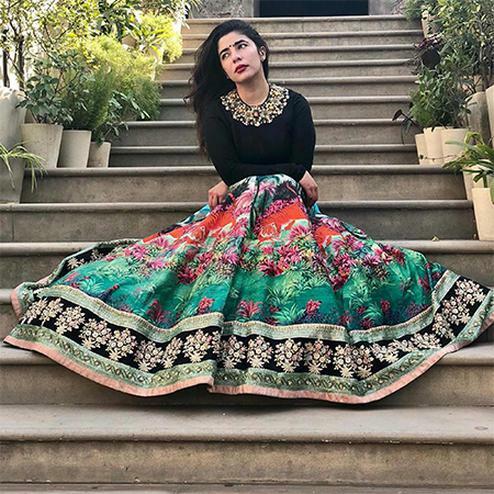 With intricate works in lehenga design like hand embroidery, zari work, sequins, mirror work, floral thread embroidery, hand embroidery, abstract print, digital print, lace embroidery, resham work, butta work and many other rich styles of work that make these black lehengas look simply stunning. The black lehenga combination colors are chosen to add to the aesthetic look of the ensemble. Pink, orange, red, yellow, beige, cream, off white, blue, green, peach are our recommended combination patterns for you. The black and pink lehenga choli looks very graceful. You can pick this for ladies gala or in-between wedding festivities. 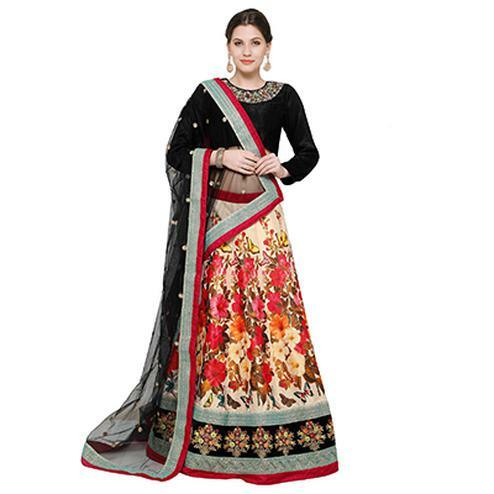 You can also go for the plain black lehenga choli if you like to work around subtle styling. 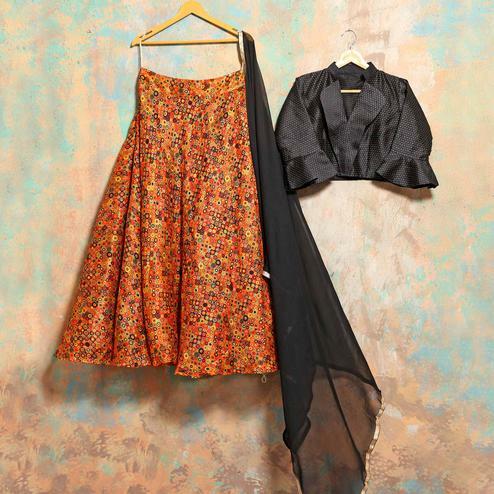 Try out printed black georgette lehengas for that perfect fusion of contemporary style! So choose any black lehenga from Peachmode according to your style and pattern choice- whatever you pick, trust us, you’d look ravishing in our ensembles. Don’t forget to look out for the amazing discounts that we offer.